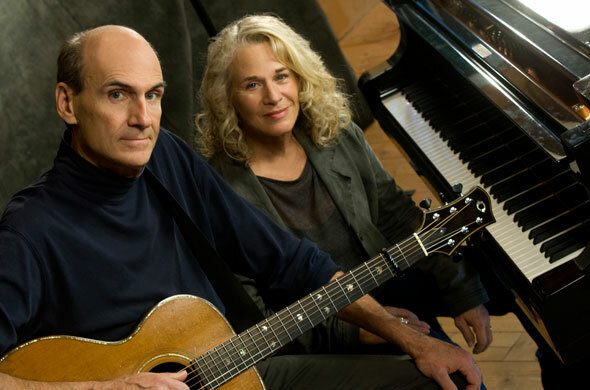 This year marks the 40th anniversary of Carole King’s landmark album Tapestry and signature song “You’ve Got a Friend,” a Grammy®-winner for both King and James Taylor, whose friendship and performance legacy was cemented at Doug Weston’s famed West Hollywood club the Troubadour. 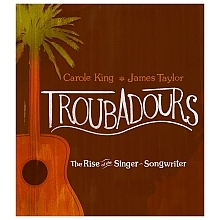 American Masters continues its 25th anniversary season with Troubadours: Carole King / James Taylor & The Rise of the Singer-Songwriter, a first-hand account of the genesis and blossoming of this 1970s music movement, centering on King and Taylor’s historic collaboration and the nightclub that nurtured a community of gifted young artists and budding critical and commercial sensations. The 90-minute documentary film, airing nationally Wednesday, March 2 at 8 p.m. (ET) on PBS (check local listings), is directed by Emmy®- and Grammy-nominated Morgan Neville and produced by Oscar-nominated Eddie Schmidt. The film has its world premiere in the U.S. Documentary competition at the 2011 Sundance Film Festival in January. This interview with James Taylor comes from Acoustic Guitar Daily, and focuses on his use of guitar as a songwriting tool. See Acoustic Guitar for more articles, lessons, a video library and more, all of interest to acoustic guitar players. Acoustic Guitar Daily, Instruction, Information, and Inspiration for Guitarists.